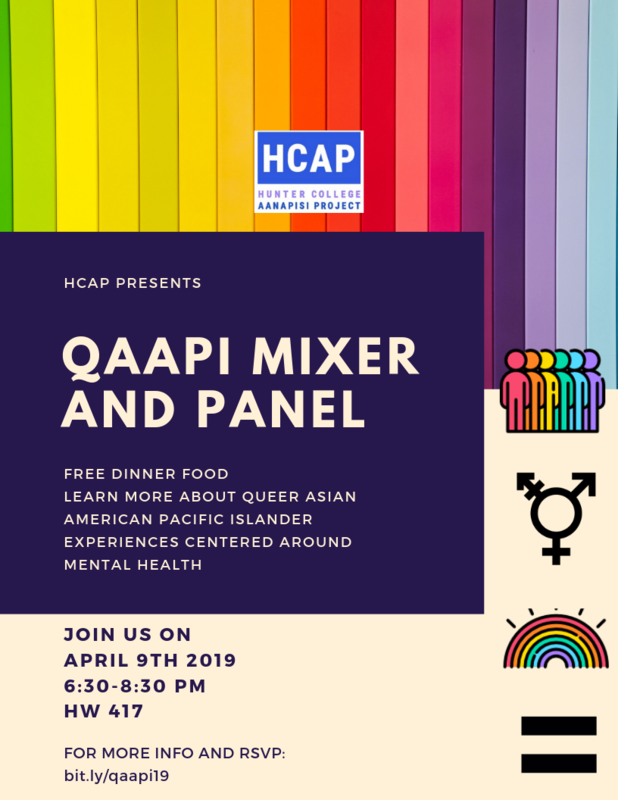 Join HCAP on Tuesday, April 9th, 2019 from 6:30 pm to 8:30 pm at Hunter West 417 for our Queer Asian American Mixer and Panel! The event will give insight on the lives of queer folk who are part of the AAPI community as well as focus on mental health awareness! There will be free food and a short panel where speakers will discuss their experiences as QAPIs, focusing on mental health and its importance. After, there will be a section for small group discussions where the audience can answer the same questions for their own experience. © 2018 Hunter College AANAPISI Project. All rights reserved.